Dr. Howard Hill “Mickey” McGregor, Jr. died peacefully on Thursday October 25, 2018, one day after his 75th birthday. A.M.D.G. He is survived by his wife, Kathleen Korner McGregor, his sons Howard Hill “Scotty” McGregor, III (Vicki), Theodore Hunter McGregor and James Wilson McGregor (Sloane); his granddaughter Camryn Alexis McGregor; his siblings George Mark McGregor, Sr. (Debbie) and Marianne McGregor Eyles (Ralph); his niece Emily Eyles Riddle (Adam) and nephews George Mark McGregor, Jr., Cooper William McGregor and Ralph Roger Eyles; his 3 grandnieces and a score of loving cousins, co-workers and friends. 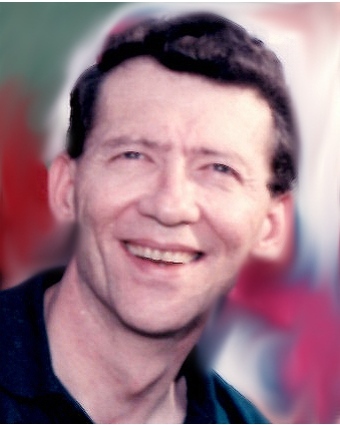 He was preceded in death by his parents, Howard Hill “Mac” McGregor, Sr. and Peggy Mang McGregor. Mickey was born in New Orleans and attended St. Francis Xavier and his beloved Jesuit High School. He was a proud member of the class of 1961 and as a Senior, Mickey served as Student Council President, Editor-in-chief of the Blue Jay Mag and Valedictorian of the class. Mickey graduated from Loyola University and then obtained his Ph.D. in Organic Chemistry from Harvard University. After several years in research with Kalvar Corporation, he worked alongside his family at Pelican Plumbing Supply for over 30 years before retiring in 2008. Mickey was a unique person who left an impact on everyone who knew him. He had an incredible mind, a wonderful sense of humor and a loving devotion to his family and friends. He was also a hell of a piano player, and the “house band” on countless occasions. We smiled and sang as he played, and created memories that will truly last forever. He will be sorely missed. The family would like to thank Lisa, Kay, Cynthia, Shontal, Nicole, Imani, the staff of Brookdale Mandeville and the many others who gave Dad such care and comfort during his toughest days. We are forever grateful. Services will be held at Greenwood Funeral Home, 5200 Canal Blvd., New Orleans, LA 70124 on Saturday November 3rd. Visitation will be held from 11am to 1pm with a Mass at 1pm. Interment will be at a later date. In lieu of flowers, donations may be made to Team Gleason in honor of George Mark McGregor, Sr. The family invites you to share your thoughts, fond memories, and condolences online, at www.greenwoodfh.com.